*Disclaimer: All dimensions are estimates only and may not be exact measurements. Floor plans and development plans are subject to change. The sketches, renderings, graphic materials, plans, specifics, terms, conditions and statements are proposed only and the developer, the management company, the owners and other affiliates reserve the right to modify, revise or withdraw any or all of same in their sole discretion and without prior notice. All pricing and availability are subject to change. The information is to be used as a point of reference and not a binding agreement. The choice is yours at Windsor on the River. You’re sure to find your perfect fit from over a dozen clean and deeply comfortable one, two, and three bedroom floor plans in Cedar Rapids, IA. Spacious one bedroom options are sized from 597 square feet up to 1,034 square feet, each one with a private patio or balcony and complete kitchen. Two bedroom layouts measure from 1,064 square feet to a luxurious 1,424 square feet, while our three bedroom floor plans are sized at 1,519 square feet. You and your dog or cat will stay cool in the Iowa summers with central air conditioning – and toasty on chilly Midwestern evenings curled up in front of your inviting fireplace. Enjoy all the comforts of home with the peace of mind of 24-hour emergency maintenance and an onsite management team that cares about your experience. Along with multiple beautifully designed layouts, our apartment community in Cedar Rapids, IA, brings the style with easy-to-care-for hardwood-style flooring, attractive ceiling fans, and a suite of available stainless-steel kitchen appliances. An in-home washer and dryer whittles down chore time, leaving you the freedom to enjoy a walk on a nearby trail, tennis with a friend, or a quiet yoga session in our state-of-the-art fitness center. 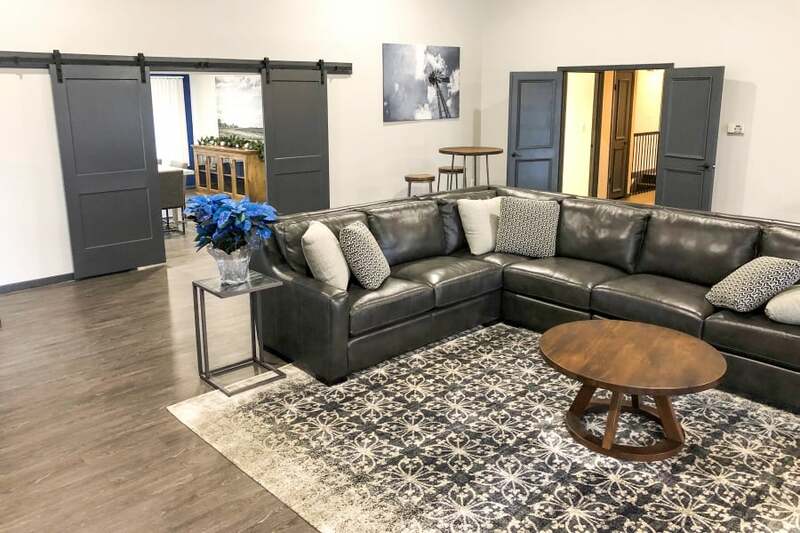 Cozy up at home or hang out with friends and neighbors in the community clubhouse. Windsor on the River has everything you need to make yourself at home. View floor plans and our full list of amenities to see all the advantages of apartment living at Windsor on the River in Cedar Rapids, IA.